BB Creams has the origin from South Korea. Of late, it is buzzing the markets all over the world by storm. Many young women are swearing by BB creams which could stand for blemish balm, blemish base or beauty balm. BB Creams are all-in-one formulae, which replaces the multiple beauty supplies and layers of cosmetics. Replace your serum, primer, sunscreen, foundation and moisturizer with BB Cream. If you are that one kind who fusses about the beauty regime and look for hassle free regime, then BB Cream is your best bet. It works like a tinted moisturizer with SPF. You can double the amount you normally use to apply as a foundation too! When wearing makeup becomes so simple, it is not surprising that BB Creams have captured the fancy. As a result, the market floods with number of BB Creams, which makes a relatively tough choice to pick the best one. 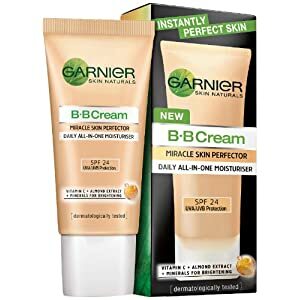 Let’s take a look at some of the best BB Creams available in India. The first BB Cream to be launched in India, the Maybelline Clear Glow BB Cream is something that every makeup aficionado would have tried. It has SPF-21 to give you sun protection. It actively hydrates your skin and evens out the skin tone. The BB Cream claims to resist sweat and sebum and keeps you fresh through the day. Close to the heels of the Maybelline BB Cream, came the launch of the Garnier Skin Naturals BB Cream in India. The cream promises perfect skin instantly, with 8 hour moisturizing effect, even skin tone, zero imperfection and sun protection with SPF 24. It also addresses discoloration of the skin, blotchiness and blemishes, in a few minutes. Comes in one shade, which may not be suitable on all skin tone, which is a downside to this product. As the name indicates, it makes you ready for a picture anytime, any day and at any place. Using this BB cream gives a flawless fresh look throughout the day. The Revlon PhotoReady Beauty Balm is a light weight multi benefit cream that hydrates like a moisturizer, smoothens like a primer, blurs flaws like a concealer and covers like a foundation. You can get the even complexion, with no flaws and blemishes without wearing layers of makeup. It comes with SPF 30 that gives you adequate sun protection. The BB Cream brightens your complexion and keeps you glowing through the day. Comes in three different shades for light, medium and dark skin tones. The Colorbar Perfect Match BB Cream is the perfect BB Cream that blends the makeup and skin care together, perfectly. It has a lightweight and non-greasy formula to use on all skin types. With potent botanicals and formulation of ingredients, it boosts your skin’s luminosity. The aloe vera in this BB Cream acts as a moisturizer and natural sunscreen. The Colorbar BB Cream diminishes the signs of ageing too. It is paraben free and suitable for all skin types. L’Oreal is an internationally renowned cosmetic brand, a favorite of Bollywood to Hollywood celebrities. It is India’s first 360 degree skin care cream, formulated to re-texture your skin tone. 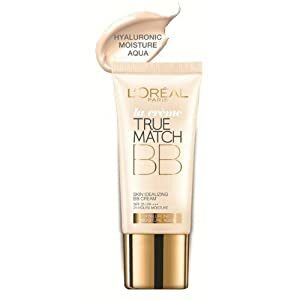 The L’Oreal Paris True Match BB Cream is a skin idealizing BB Cream which re-texturizes the skin’s smoothness, brightens the skin tone and perfects the skin from within. It easily blends on all types of skin without leaving any harsh effects on skin. Within minutes after application, you get semi-matte finish. It neutralizes all the blemishes on the skin with the necessary sun protection. When you choose the BB Creams, just make sure you choose the color that matches with your skin tone. Since BB Creams serve as multiple beauty supply, it is essential to pick the one that matches with your skin tone. If you have a medium skin tone, choosing a darker undertone may not suit well. Try the cream that matches closely with your skin. Besides, most of the BB Creams suits all types of skin. If you have any skin problems like extremely sensitive skin tone, irritation to certain ingredients, make sure to check for those before buying.